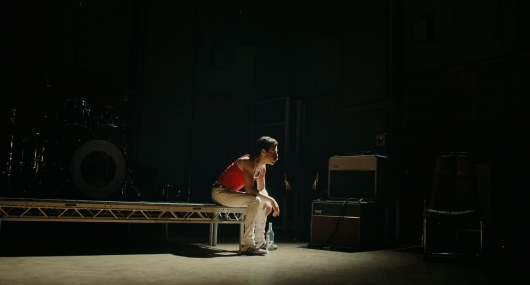 The trailer pretty much spells out all of the struggles Mercury has gone through during his life. Here we see the feuds between his family and his fellow bandmates. The press questioning his sexuality. How the dark allure of fame destroyed his relationships. But then there’s the upside, which is the creative genius that created many of the great songs what we all now and love. Again, it’s a pretty traditional way of seeing a cinematic biopic. One that plays it too safe. However, Malek’s chameleon-like change into Mercury will leave you absolutely stunned. He embodies the rock legend. There are even some scenes where it’s hard to tell if we are seeing Malek or if we are seeing Mercury. The film also stars Gwilym Lee as guitarist Brian May, Ben Hardy as drummer Roger Taylor, and Joseph Mazzello as bassist John Deacon. Lucy Boynton plays Mary Austin.